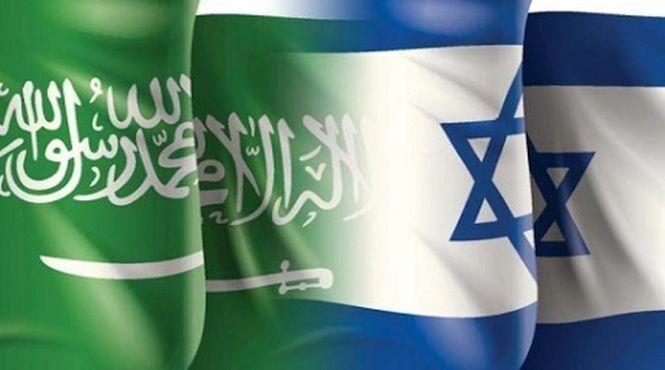 Israel and Saudi Arabia share several common historic facts such as both are artificial entities created by British colonialists to counter the re-emergence of political Islam, both have Jewish roots, both sponsor conflicts and terrorism around the world, and both exist under the protection of Western powers. Not only that both Zionism and Wahhabism have common ideologies. Despite some symbolic criticism of each other – both have fought together against any attempt for Arab unity (Muslim Brotherhood, Ba’athist movement, etc) and Islamic resistance in the region such as Iran, Hizbullah and Hamas. Israel-SA secret alliance has benefitted the rulers of both entities. Saudi ‘royals’ have given the Zionist entity tens of billions of dollars to lobby for their oppressive rule in the United States and European Union nations. Prince Turki bin Faisal, former Riyadh ambassador in Washington happened to be a favorite Arab among the Zionist lobby groups. He even posted a picture of his with Israel’s former foreign minister and justice minister Tzipi Livni, wanted on war-crimes in several European countries. An article by Ricardo Vaz published at online newspaper INVESTIG’ACTION this month shed more light over this union of two Evildoers. “With some exceptions, support for the Palestinian cause in the Arab world is overwhelming. And regimes like Saudi Arabia have happily betrayed the Palestinian cause over and over again because they are aware that key to their survival is subservience to the United States, and that an alliance with Israel may boost their regional hegemony prospects. But because their legitimacy to rule is incredibly thin to say the least, royals and officials need to keep pretending in public that they are defending and fighting for the Palestinians. Religious officials in Saudi Arabia and other Gulf countries are known for spreading hatred against Shi’ites, Alawites, Christians and Jews. Saudi media even attacked Iran for allowing Jews to live there! However, the mainstream media is always happy to tolerate this kind of anti-semitism from those who lend their support to the Zionist colonisation project, while viciously throwing the “anti-semitic” label at anyone who will not bow down to the occupation of Palestine,” Vaz said. It’s a common knowledge that Israel and Saudi Arabia are the leading actors in the six-year-old war on Assad regime to isolate Syria from Iran and Hizbullah which are considered greatest threat to the Zionist occupation of Palestine. “In the greater picture of Middle Eastern geopolitics, Israel and Saudi Arabia always have Iran as their ultimate target. The war against the Syria and Hizbullah, just like the war in Yemen, is meant to attack Iran by weakening and possibly removing its allies,” Vaz added.